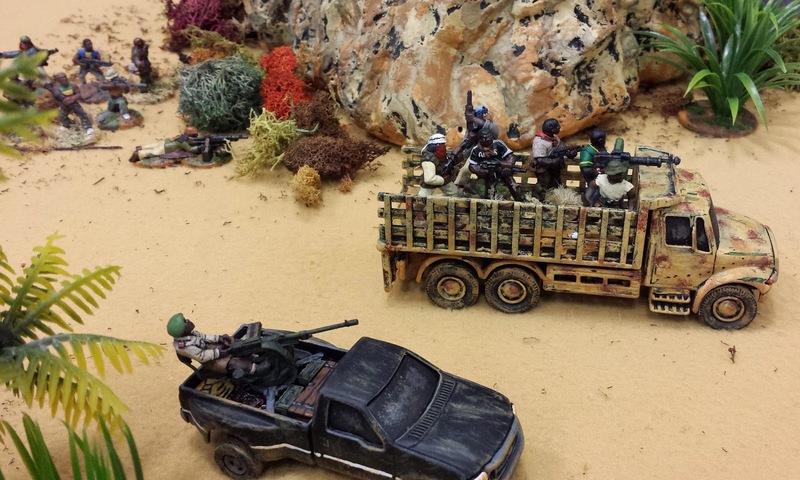 Wargaming conventions are like beds in a fairy tale -- they shouldn't be too big or too small. You want plenty of games but few queues. Lots of new faces, but no strangers. Here in Ontario we're blessed to have Hot Lead, a perfectly sized event. Hot Lead is held in Stratford every March. It's one of the highlights of my year (along with International Talk Like a Pirate Day). Last weekend I attended Hot Lead 2015, and this time I think the liver damage is permanent. There are two things that make Hot Lead so good. First, it's run by a bunch of complete nutters. Second.... well. Hmmm. I've forgotten the other thing that makes Hot Lead fun. In any case, this year was a blast, with 67 different games held over 3 days, plus tournaments for Warhammer 40K and De Bellis Antiquitatis. As always, my companion for the weekend was a particularly unhinged member of the Royal Canadian Mounted Police. Our weekend started with a gorgeous game of Dux Britanniarum, a fast-action skirmish game set in Arthurian England. 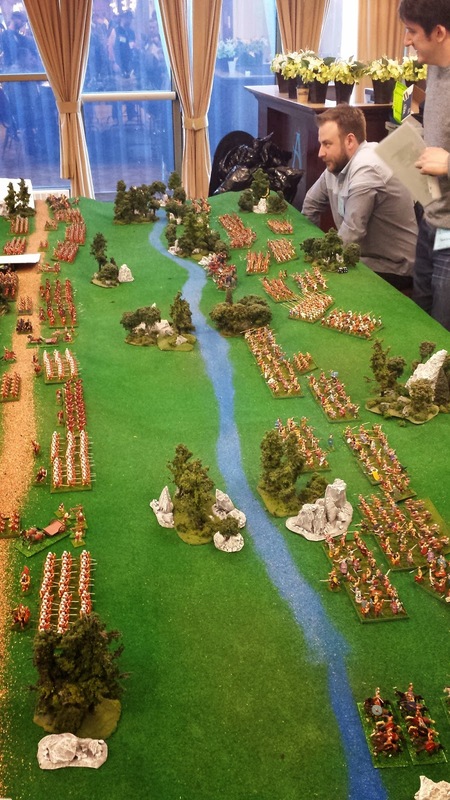 The game was run by Frank Kailik from the Kent-Essex Gaming Society. Frank is one of my favourite game masters of all time -- he has an amazing talent for creating gorgeous scenery out of rags, wallpaper and trash. For example, he hand-wove his fences (pictured below) using broom bristles and tooth-picks. 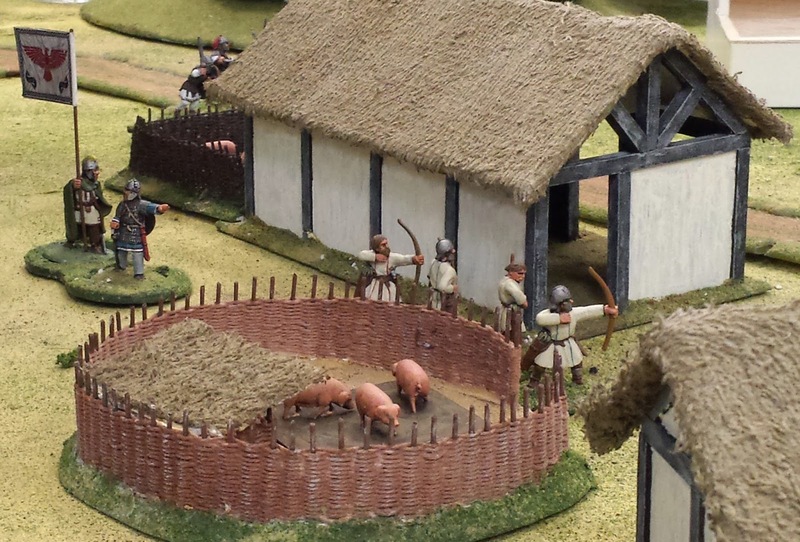 Frank's game involved a Saxon raid on a beautifully rendered British village. 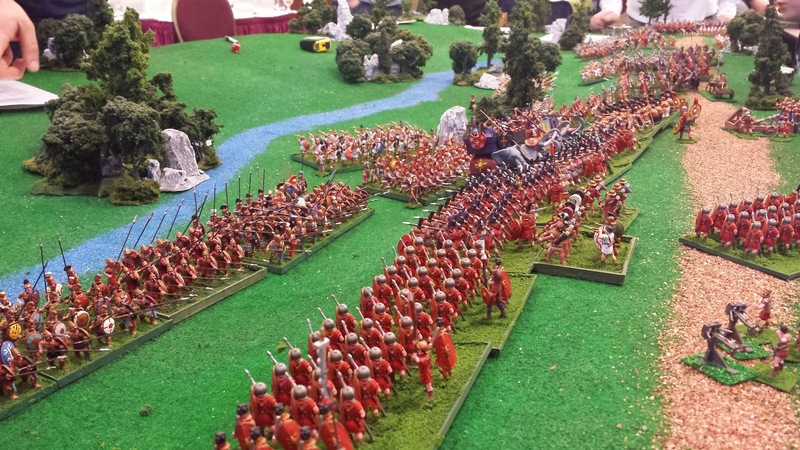 I had the good fortune of seeing my wing of the British force square off against an 11-year old. There's nothing that makes me feel more like a man that out-maneuvering a child during a wargaming event. Really, it's my only hope of victory. Saturday morning was a particularly twisted game by Dan Hutter, one of the Hot Lead originals. 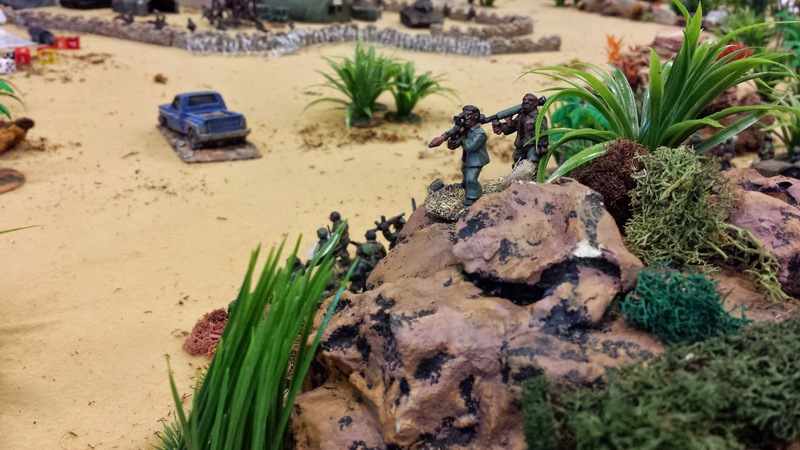 He created a 28mm pulp game set in a fictionalized African republic, involving various heavily armed factions facing off over a diamond mine. My government forces ("the Sovereign Morrowi Ubangi Regular Forces" or SMURFs) exchanged fire with the hated rebels ("the Morrowi Inter-Tribal Liberation Front" or MILFs) and various other homicidal militias. The highlight of the game were the gorgeous "technicals" (or improvised fighting vehicles) that Dan had created out of Hot Wheels and other models. As their technicals surge forward, the MILFs take the high ground and prepare to unleash their rocket launchers on the SMURFs below. 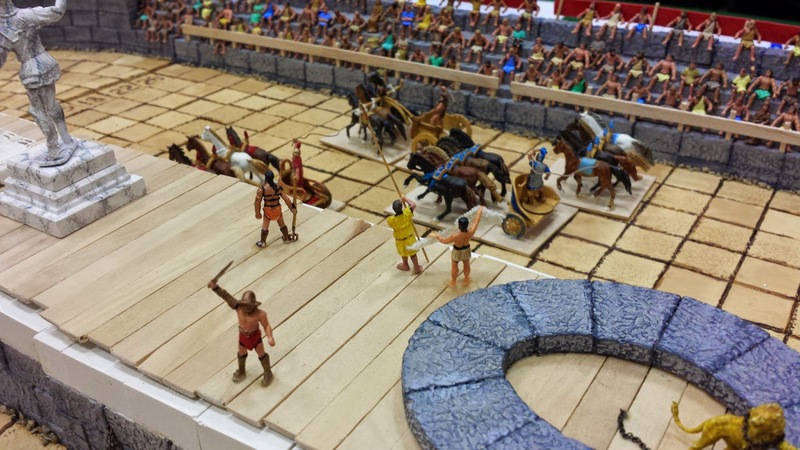 On Saturday afternoon, I played an epic recreation of a Roman-Carthaginian battle during the Second Punic War. 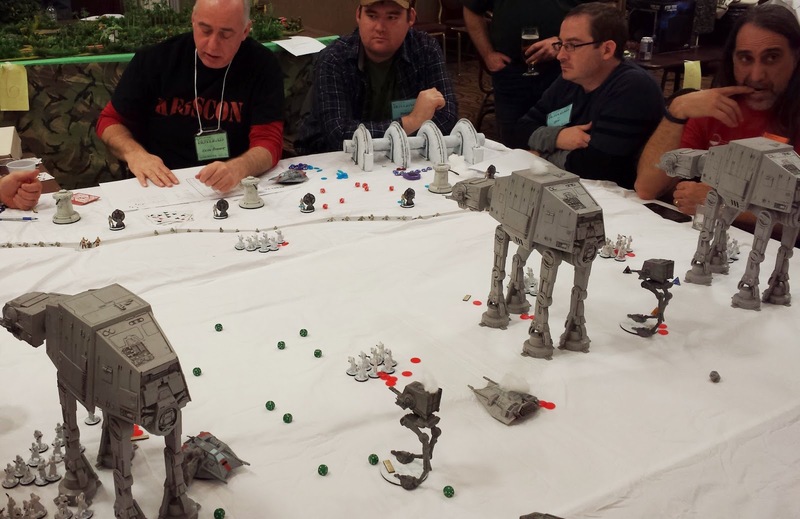 Games Masters Kris and Mark Koloff offered an incredible spectacle, with hundreds upon hundreds of finely painted 25mm miniatures. The star of the game, however, was their home-brew rule set. Notwithstanding 6 or 7 players and innumerable units, the game was fast and nail-biting -- with battalions disappearing with a single cast of the dice. 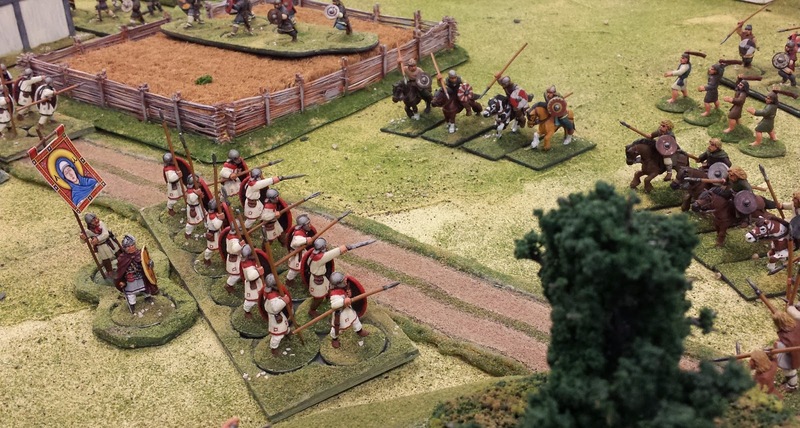 And although their rules were simple, they presented the players with precisely the same problems that faced ancient generals: how to get at the flanks, when to throw in reserves, how to hold the line. Brilliant! I led the Gallic allies of the Carthaginians on the left wing. My explicit instructions (which were fairly historically accurate) were to kill myself as quickly as possible. A colourful self-destruction on the left would distract the Romans while the Punic elephants and elites prepared to puncture the Romans on the right wing. Fortunately for me, my opposing Roman general was the same 11-year old I faced the night before in Arthurian England. Clearly the Gods of Petty Convention Gaming were smiling on me. Beating the odds, my Gauls overwhelmed the Romans and began to roll up their flank like a rug. It was, however, an empty triumph, since the rest of the Punic army was getting annihilated. My Gauls were left hanging. Vae Victis! 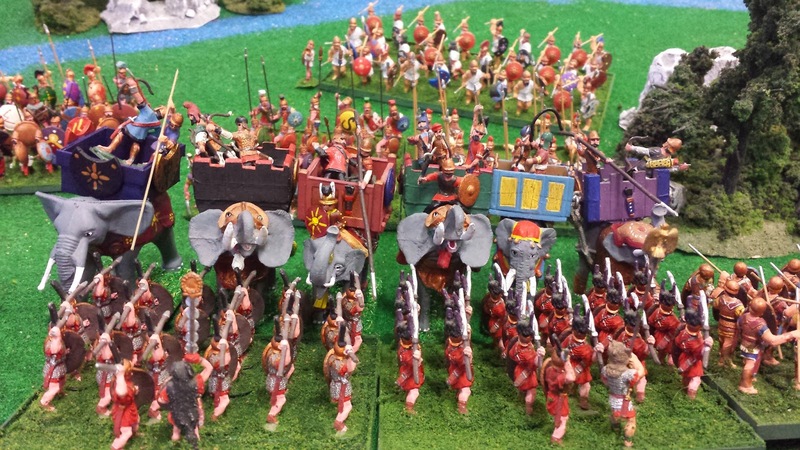 Punic elephants plunge through the Roman line, but the Romans would quickly reform. 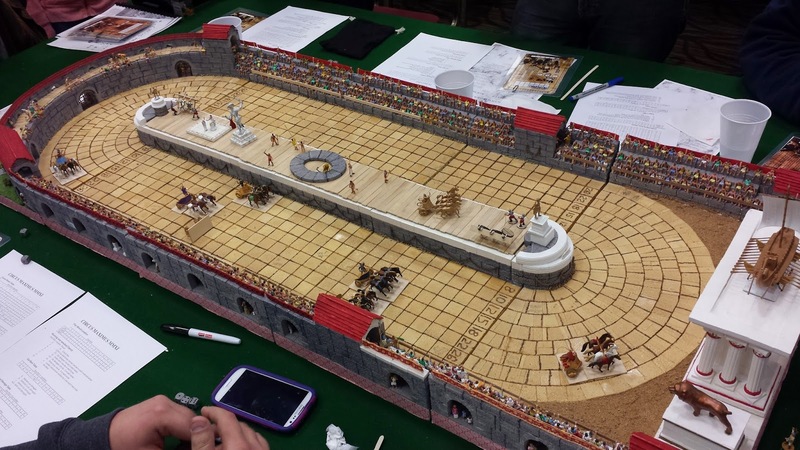 Here's master model-maker George Duff's recreation of Roman chariot races using rules from Avalon Hill's Circus Maximus. Yes, those are hundreds of painted spectators watching from the stands (plus scores more in the galleries below the stands). 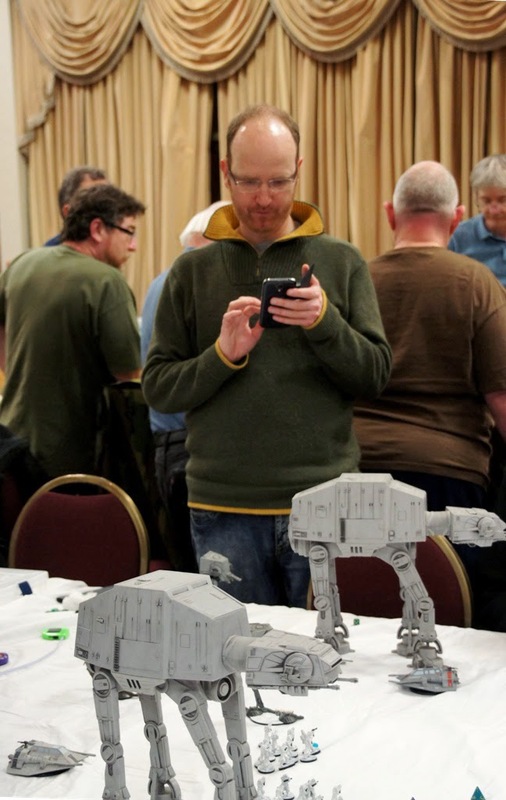 My last game was Keith Burnett's take on the Battle of Hoth. After trash-talking the Star Wars models from Wizards of the Coast, I felt pretty stupid to see how grand they look in living colour. The AT-AT Walkers and the AT-ST Scouts lumbered through the snow, trying to knock down the shield generator before the Rebels could escape. It was the perfect way to end the weekend. Too bad we let young Skywalker get away! A big thanks to James, Patrick, Chris, Elizabeth and the rest of the Hot Lead crew for another bulls-eye! Wow I will not miss this next year, not a chance; blood diamonds, at-at's, and Romans all in one place? Too good to be true. Plus beer? Incredible. Great looking games, nice pictures! Oh yeah!!! It's hard to type this 'cause I'm frothing and drooling all over my keyboard!! What a gaming weekend! Tremendous! I wanna move to Stratford! Thanks for sharing this, Matthew! Did you go to any plays when you were in Stratford? There's not much playing at the Festival this early in the year. In any case, there's hardly time during the weekend -- the games come fast and thick. Had a nerdgasm when I saw the Battle for Hoth playset . . . er, miniature wargaming board. Looks like a great event! I think "nerdgasm" might be my favourite new word. It certainly gives me something to aspire to. Kaleb - thanks for the invite! Oldhammer in the New World looks Amazing. I can't believe how many people are coming! I'm hoping I can get my fellow Canuck 24_Cigarettes to make a road trip with me. I'd love to meet you in person.